If you are searching for the best guide around Northern Ireland, then we are here to help you out. In this Northern Ireland travel blog guide, we are here to share with you all the tips and advice about travelling around Northern Ireland. All the unmissable sites and hidden gems that you can’t miss out while you are here. We will explore things you should know about Northern Ireland, why you need to visit, things to do, places to stay and eat and much more. What’s unique about this travel guide to Northern Ireland is that its all told by a local. I’ve grown up in Northern Ireland for the past 24 years, so this your local travel guide blog to Northern Ireland. You can also check out our other travel blogs guides on Ireland, Northern Ireland, Belfast, Dublin and London. Northern Ireland has really grown in the last decade and many people are choosing to come here for trips and holidays. The Northern Ireland tourism scene is booming with many exciting attractions and events taking place here. An amazing 4.5 million people visited the country in 2015. It sure is an exciting time to take a trip to Northern Ireland, the country has come a long way from his turbulent past to create a vibrant and welcoming place for people to visit. 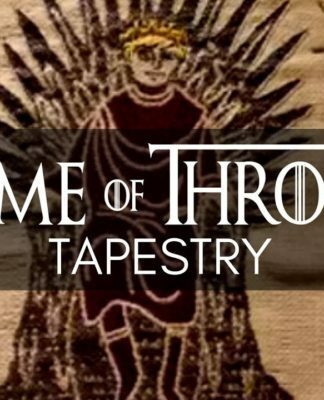 One of the biggest things that have played well for Northern Ireland, is the world-renown Game of Throne Series. Unless you’ve lived under a rock for the last couple of years, you’ll know that Game of Thrones filmed a lot of their scenes in our little country. This has been huge for bringing people to our part of the world as they want to experience the real-life locations on the tv series. But there is so much more to Northern Ireland than Game of Thrones, I’m going to make sure you know about it. This is your one-stop guide to everything Northern Ireland travel related. Hoping this guide will help you plan the most amazing trip to Northern Ireland and get the best out of the country. As someone who has grown up in Northern Ireland, I’m going to share with you my reasons that make my home an unforgettable visit. For the most part, the people of Northern Ireland are very friendly and welcoming. We love to share with you our favourite things to do in the city we are from. Irish people love to chat and are very sociable so don’t be afraid to make friends with the locals. We know how to have a good time, we love a drink at the pub and enjoying some music. So if you’re looking to have a fun time you’ll find it here with the locals. A couple of years ago we were named the friendliest place in the UK. That statement still rings true today. So my Northern Ireland travel tip is for you to get to know the locals. I’ve lived and grown up in Belfast for the past 24 years and I’ve seen it really progress and change for the better. Although I wasn’t born during the troubles when many would have called Belfast a battle scene. Today it’s a completely different place than it was once portrayed on the media. Belfast city is vibrant and full of life, offering amazing cultural and heritage attractions for people to explore. It has an amazing social scene, world-class restaurants, traditional bars and a wealth of tourist attractions. If you have ever been slightly put off by visiting Belfast I can tell you as a local it’s really worth checking out the city. You’ll fall in love with its incredible Victorian buildings, the local charm and more. Another reason why you should visit Northern Ireland is that its a really affordable place to visit and stay. There is always a great deal on for places to stay in Northern Ireland that won’t cost you an arm and a leg. Many of the attractions are also not overly expensive. There are a variety of great deals for the type of stay you want to have from weekend breaks to spa breaks, self-catering, we do it all. One of the great things about coming to Northern Ireland is its a pretty easy and straightforward place to move around. Due to the fact that we aren’t a particularly large country you can get on a bus or car and be in a new place or city under a few hours. Places like Belfast are quite accessible by foot as everything is pretty close together which is great. This means you’ll have loads of time to see all the big attractions as well as the many hidden gems around the place. You can even travel across to the Republic of Ireland and check all the great things they have to offer. One of the best reasons why you should visit Northern Ireland is to explore the amazing landscape that’s on offer. If you want to get some incredible photography shots then I promise you’ll be inspired by the Northern Irish scenery. There are eight designated Areas of Outstanding Beauty found here. That’s pretty incredible for our small country. There really is no shortage of magnificent sites to be uncovered in Northern Ireland. My Northern Ireland travel blog tip is to make time for the less unknown sites such as the Gobbins, Glenariff Forest Park and Blackhead lighthouse. Do a little research before you visit and make a list of place to see. One thing that Northern Ireland has been recognised for is the amazing hospitality provide here. Along with the hospitality we have some amazing accommodation options for those wishing to stay. Northern Ireland has seen a surge in many great hotels being created especially in the capital city of Belfast. From grand hotels to cutie little boutiques we have many of these and some unique accommodations. Places like the Bubble Domes at Finn Lough in County Fermanagh offer a unique experience of Ireland. The Bubble Dume offers a 180′ transparent walls allowing you to immerse yourself into the beauty of your surroundings. 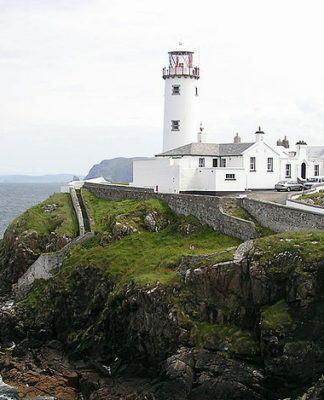 Or the Blackhead lighthouse in Antrim has been fully converted into a place people can stay. Where you can enjoy the magical setting on the coast of Antrim. There is an endless list of great place to stay when visiting, you definitely won’t be short for options. I do recommend trying one of the quirky accommodations available as it will definitely add to your experience here. Another great reason to visit Northern Ireland is to enjoy the incredible food and drink here. We have a great range and variety of restaurants that offer traditional and unique dishes to try. Many restaurants are renown for using the best of local produce and the freshest ingredients that make our food so irresistible. In Belfast alone, there are two Michelin awarded restaurants, Ox and Deanes. Northern Ireland is home to some world-class-chefs and eaters that is unmissable. My tip for you is to eat around each place you visit, try the local delicacy and the unique dishes offered here. Each place or town you visit will have its own special way of making and preparing dishes. You’ll definitely not be disappointed by the food scene in Northern Ireland. Like many places, you visit they will provide a hop on and off bus tour, but Northern Ireland has its own unique version of this. In Belfast city, you can take a Black Taxi tour (private taxi tour) around all the attractions in the city. What makes this a bit more special is the local taxi drivers who will be able to give you a personal insight to place and the history. These tours are perfect for those who have never been to the city before and want to learn more about its history. The main attraction of this tour is exploring the many peace walls around Belfast that tell an interesting story on its past. A great experience and a good reason for you to visit Northern Ireland. Tourist seems to be quite interested in this aspect of Belfast. I can’t mention Northern Ireland without associating it with the Game of Thrones Series. The HBO series has been a huge reason for tourists making their way to Northern Ireland since 2011. A lot of the scenes have been filmed in our production studios as well as the stunning Northern Irish Countryside. You can go on tours of the Games of Thrones filming locations, that give you an insight into the show and amazing sites found here. If anything fans of the show will want to come to Northern Ireland for this reason alone. You’ll then discover all other great things that Northern Ireland has to offer. The last reason to make you want to visit Northern Ireland is to check out Derry also known as the City of Culture. Derry is an incredible city that you won’t want to miss out on. Derry offers an interesting history and an incredible culture scene. There are many great events, exhibitions and festivals that take place throughout the city all year long. One of their biggest events Halloween. They are world-renown for their Halloween festivities put on by the city that brings in people from all around the world. Derry has much to offer visitors from one of the most beautiful bridges, spectacular landscape, powerful murals and more. This definitely a great reason to visit Northern Ireland. Ok, so there are a few things I would like to make you aware of before visiting Northern Ireland. Hopefully, this Northern Irish travel guide will help before your visit. In the North of Ireland, the main currency used is Pounds Sterling which is also used in England, Scotland and Wales. When you reach the Republic of Ireland they use a different currency, Euros. It’s good to make yourself aware of this before coming to visit. Although most big stores will sometimes accept euros in Northern Ireland. But just make sure you come prepared with Sterling so you’re not wasting time when you get here trying to change money over. 2. The Best Time to Visit? In Northern Ireland, we don’t really get bad weather, we usually have mild winters with little snow. I feel that Northern Ireland has lots to offer whatever time of the year you visit. But highly recommend between April and September when the weather will be hopefully at its best. But you never know what to expect with the Irish weather. Winter time is also great as we have a lot of Christmas festivities that take place including the popular Continental market. No matter what time of the year you visit you’ll be sure to have an enjoyable experience. Your trip to Northern Ireland will be a very safe one. Northern Ireland has the second lowest crime rate in Europe. But like everywhere its also important to be safe with concerns to your money and valuables, always keep them in a safe and secure place. Northern Ireland is an incredibly easy place to get around. With a great network of buses and locals trains that will take you everywhere. From big cities to smaller ones you’ll find a bus or train that leads you there. Driving around Northern Ireland is also easy as the country is pretty small. One of my Northern Ireland travel guide tips is to rent a car when you get there. Altogether there are six uniquely different counties found in the North of Ireland for you to explore. These are Antrim, Armagh, Down, Fermanagh, Londonderry and Tyrone. I’ve been lucky enough to spend time in each county so I thought I’d share best things about each. Country Antrim is one of Northern Ireland’s most desirable places to visit, it is after all the best county here. There is plenty to be uncovered in Northern Ireland, this is where you’ll find the capital city Belfast located. The other main cities in Antrim are Lisburn, Carrickfergus, Ballymena, Ballymoney and Newtownabbey. You’ll uncover some amazing landscape and sites in Antrim, one of the biggest being the Giant’s Causeway. As well as many other great finds such all the game of thrones filming location that you can check out here. Antrim is full of unmissable natural beauty that you need to experience, the Glens of Antrim is one of those. There are nine glens in total that all offer a unique part of the Antrim landscape. Many tourists might miss out on seeing this as it’s not heavily advertised like the Giants Causeway Attraction. We have a whole Northern Irish travel blog dedicated to the Glens of Antrim where you can find out more. The Giant’s Causeway is one of the most popular attractions in County Antrim. Often referred to as one of the natural wonders of the world. As much as its amazing, it has been hyped on a lot. When I visited I expected more but that doesn’t mean that I didn’t think it was an incredibly natural beauty, because it was. I totally recommend if you’re coming to Northern Ireland to definitely visit, it might seem a bit smaller in real life than it does in photos and videos. Although the Giant Causeway walkway is pretty amazing that leads you to some spectacular views. We have a whole Northern Irish travel blog dedicated to the Giants Causeway where you can find out more. You can’t come to County Antrim without visiting the worlds leading Titanic Museum located in heart of Belfast. A place where you can uncover the fascinating history, stories and experience of the Titanic ship. Not only does it tell the story of the ship well is also offers you an insight into the shipbuilding history of Belfast. It one of the amazing experiences that offer a variety of exhibitions and real-life replicas. We have a whole Northern Irish travel blog dedicated to the Titanic Museum, where you can find out more. Another great place to add to your County Antrim bucket list is the Crumlin Road Gaol. The Goal turned tourist attraction offers a fascinating history that dates back to the 18th century. You can check out the goal through guided tours available, an opportunity for you to step back in time and be captivated by your environment. The Crumlin Road Goal put on a variety of themed events throughout the year, especially around Halloween time. I think to come to Northern Ireland and not visit the Peace Walls would be regrettable. The main Peace Walls can be found in Belfast. The Peace Walls offer visitors the opportunity to see an important part of the history of Belfast. They were a series of barriers that were erected during the 1969 Northern Ireland riots that are still visible today. They have become the biggest free tourist attraction in Northern Ireland. You can even leave a message or quote on the walls to inspire hope to others. We have a whole Northern Irish travel blog dedicated to the Peace Walls, where you can find out more. County Armagh is the smallest county in Northern Ireland but that doesn’t mean it should be overlooked. The County has an amazing personality and charm that will capture you from the moment you get there. It provides a rich history and is full of great treasures for tourist to enjoy. You can’t miss the opportunity to visit Northern Ireland and not check out the Ring of Gullion in Armagh. It is considered an Area of Outstanding Beauty due to its unique geological landscape. It is also believed to be the first ring dyke in the world to be geologically mapped. The Ring of Gullion is filled with history, culture and beauty that has attracted geologist from all around the world. The unique ring dyke formation has puzzled and inspired many people over its time. It is one of those sites that you need to experience for yourself and immerse yourself into its surroundings. This library is one of the best treasures found in County Armagh. A trip to the Armagh Robinson Library and you’ll uncover the first edition of Gulliver Travels. One of the library’s most prized possessions. The Robinson library was first founded in 1771 by the archbishop Robinson. It is the oldest library in Northern Ireland. Book lovers out there will love this little gem and its great selection of books, with a fascinating history. A lot of the attractions found in Northern Ireland will have a lot of historic value but sometimes you just want have some fun. The Armagh Planetarium is a great place to do this as it offers many interactive exhibitions. At the Planetarium there is an amazing Digital Theatre, where you can embark on a journey into our mesmerising space. And learn about the wonders of the Universe. Perfect attractions if you’re travelling to Northern Ireland with children or a family. Young and old alike will both enjoy themselves here. Everyone loves to explore museums in the different places they are visiting and I can highly recommend the Armagh County Museum. It holds a great collection of arts that exemplifies how life in the city has been through the centuries. The museum has a lot of displays that narrate stories about the lives of people here. You will come across fascinating displays like rural crafts, wedding dress, and military uniforms as well. The Navan Centre reveals all you need to know about the most significant ancient monuments in the County of Armagh. Those monuments include the Navan Fort, the seat of the Kings of Ulster, and the Ancient Capital. Visitors get to observe a lot about the history of the area through the exhibits that the Navan Centre offers. You’ll be amazed by all you will get to learn about the Irish mythology and the most significant Celtic characters. The next County to make your way to in Northern Ireland is County Down. Northern Ireland is one of the most alluring counties to spend your time with beautiful scenery attractions. County Down doesn’t fail to impress and combines all the best of what Northern Ireland has to offer. From the glorious walks you’ll take in the Mourne Mountains, to rolling farmland with cosy village pubs, to birdwatching on the mudflats of Strangford Lough, you’ll want to take an eventful tour around the whole county of Down to explore it all. If your planning to head to county down then you won’t want to miss one of its most famous features the stunning Mourne Mountains. They are also the highest mountains you’ll come across in Northern Ireland. It is another Area of Outstanding Natural Beauty so it definitely needs to be on your Northern Irish travel list. The Mourne Mountains are one of the most popular attractions in County Down. The landscape is strikingly beautiful with lakes and wildlife to be uncovered. A fun fact to know is that the mountains actually inspired the work of ‘Narnia’ by C.S Lewis. Much of what County Down offers is an amazing outdoors full of enchanting scenery and landscape. Tollymore Forest Park offers that and much more. It was the first state forest park to be created in Northern Ireland. The forest park offers the perfect opportunity to get out and experience the beautiful natural and peaceful surroundings of County Down. The park has also been used in the popular Television series Game of Thrones, which might interest fans of the show to this attraction. Head to Tollymore Forest Park to enjoy a variety of outdoor activities such as camping, orienteering, and horse riding. One of my personal favourite places to visit in Down is to Castlewellan Forest Park. There’s so much to explore at this park from its impressive tree collection, the historic castle and the peace maze found here. It’s one of the most captivating places as you are surrounded by beauty everywhere at this forest park. We have a whole Northern Irish travel blog guide dedicated to Castlewellan Forest Park, where you can find out more. If you’re searching for the best day trip in County Down, I highly recommend heading to the seaside town of Newcastle. The place has so much to offer visitors from amazing beaches, incredible views, ice-cream, amusements and all around fun time. It is the perfect family-friendly destination in Northern Ireland. No place is better in Northern Ireland when you find a glorious sunny day you head to Newcastle. It’s a much-loved favourite for locals, a place that brings back a lot of childhood memories for people. We have a whole Northern Irish travel blog guide dedicated to Newcastle, where you can find out more. One of the best attraction in County Down is the Ulster Folk and Transport Museum. The museum offers you a unique opportunity to explore life over 100 years ago in Northern Ireland. The museum is internationally renown for its unique experiences and exhibitions that it offers. Travel through the centuries and uncover thatched cottages, farms, shops and schools of a unique period of time. The museum will offer one of the best day experiences for you to enjoy in Northern Ireland. It is also set in the beautiful countryside that overlooks Belfast Lough. We have a whole Northern Irish travel blog guide dedicated to Ulster Folk and Transport Museum, where you can find out more. A county that is not to be missed is Fermanagh, one of the most renowned counties in Northern Ireland. The county is famous for its breathtaking attractions and historical spots that will definitely surprise whoever visits it. Its also considered the lake district of Northern Ireland as there are lakes everywhere. There is something special about Fermanagh that is hard to explain, I think once you visit there yourself you’ll understand what I mean. One thing that has to top your County Fermanagh bucket list is to check out the incredible Marble Arch Caves. Its one of the most breathtaking attractions in the world and top-rated attraction in Northern Ireland. Down in the caves lies a world of waterfalls, twisted passages and natural rivers. The caves have an incredible history that goes back millions of years. Getting the opportunity to explore the Marble Arch Caves will leave you speechless. If you’re to go anywhere in Fermanagh I definitely recommend here. Another must see in County Fermanagh is to experience Boe’s Island that is located close to Lough Erne. The island is named after Badhbh aka Badb, the goddess of war in Celtic civilisation. This is definitely one of those attractions for people interested in history. Its one of the hidden gems found in Northern Ireland. On the island, you’ll discover the oldest and possibly the most famous carved stones in Ireland. Boe Island is full of an incredible ancient history. Take a trip to one of the most remarkable Irish buildings from the 18th century, the estate of Florence Court. The Irish house is spectacular and you’ll be able to see this through the guided tours that take place. Besides the house, you must check out the walled garden and pleasure garden as well as the famous Yew tree. If you would like to find out more about Florence Court, check out our dedicated blog on the place. It’s not called the lake district of Northern Ireland for nothing, there are many great islands for you to explore. I already mentioned Boe Island but you also mustn’t miss out on Devenish Island and While Island. I recommend hiring a cruiser and spending a day or two exploring the great islands found here. You could even choose to stay on one of the islands for the night and immerse yourself into the surrounding nature. One of the most unmissable experiences in Fermanagh lies at Finn Lough. As mentioned briefly above the Bubble Dome offers visitors the most incredible experience. The dome has a 360-degree window where you will feel like your laying right under the stars. Offering the most amazing stargazing opportunity for you. It’s good to just disconnect from the world and immerse yourself into the beauty that surrounds you in Fermanagh. You’ll not regret this one I can promise you that. If you feel like leaving the Bubble Dome there are many great facilities at Finn Lough including a restaurant, boats and walking trails. We have a whole Northern Ireland travel blog dedicated to County Fermanagh, where you can find out more. Everywhere you head to in Northern Ireland there is so much to experience and love, County Derry is no different. County Derry is home to the city of culture, rich with history and heritage. It’s a welcoming place that offers great attractions and sightseeing opportunities that you’ll not want to pass up. So you must spend some time in the city of Derry, which is the second largest city in Northern Ireland. Derry was hailed as the City of Culture in 2013 and hasn’t lost that title since. Culture just surrounds you wherever you find yourself in Derry. There are powerful wall murals located around the city that offer tourists an insight into the history of the place. It is also home to the iconic peace bridge that also has a very important significance to Northern Ireland. we have a whole Northern Ireland travel blog guide dedicated to Derry City, where you can find out more. 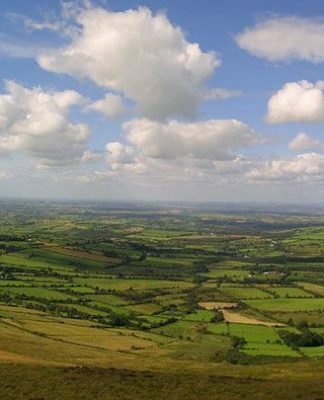 One of the most notable features in County Derry is the gorgeous Sperrin Mountains. If you enjoy walking and exploring then you must visit the Sperrin Mountains. The landscape is so beautiful with winding rivers, sun swept valleys and scenic lakes. Not forgetting the magnificent views you’ll be met with. Mussenden Temple is located in one of the most amazing coastal locations in the world. It is perched at the edge of a cliff which falls away to the rocks and beach far below. The attraction offers cliff top walks with the most awe-inspiring views over the north coast of Ireland. Its one of those places that will stay with you forever after visiting. The ancient temple is also pretty incredible. One of the most unmissable experiences in all of Northern Ireland is the Causeway scenic route from Belfast to Derry. Along the route, you’ll be met with some incredible landscape and sites including a towering cliff, silents glens, picturesque villages and World Heritage Site. Road tripping around Northern Ireland is one of the best ways to experience the country. There are many great driving routes around the place that will offer you a unique view of Northern Ireland. Everyone needs a bit of fun and adventure in their lives and you’ll find this at Jungle NI in Derry. It is the largest outdoor activity centre in Northern Ireland. They offer you an exciting escape from your normal boring life. For all you adrenaline junkies out there this is a place to explore. They have a range of adventure packed activities such as Paintballing, Zorbing, High Wire Tree Top Adventure and so much more. Sometimes you need to take a break from exploring all the history and heritage of a place and simply have fun along the way. Lastly, you have reached the biggest county in Northern Ireland. There is so much to be explored in Tyrone, its landscape and environment are magnificent. It’s definitely not a place you should overlook. It may not be as talked about as the other counties but its just as rich with heritage and history. It’s one of the hidden gems in Northern Ireland and ill share with you the best of what Tyrone has to offer. One of the top things to do in County Tyrone is to visit the Ulster American Folk Park and immerse yourself into the stories of Irish immigrants who made their way to America hundreds of years ago. Hear the incredible stories and wander through the cottages and log cabins as you meet costumed characters. Even board a full- scale replica of an emigrant ship and feel how it must have felt to leave your home country. There is much more to be discovered at the Ulster American Folk Park. A hidden gem to explore in Tyrone is the mysterious Beaghmore Stones Circles. County Tyrone is full of incredible archaeological sites and is definitely one of the top ones. It is an impressive bronze age stone and cairns that were first discovered in 1940. It really is one of those unique features found in Tyrone that you will want to visit. A great adventure awaits you at Todds Leap, a Multi Award Winning Activity Centre in Tyrone. Todd’s Leap is all about exploring the outdoors and having fun. 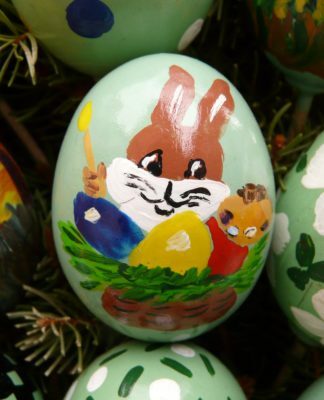 There are over 20 fun-filled activities to enjoy. Some of the activities are pretty extreme, definitely for thrill-seekers. Activities that you can take part in include blindfolded Land Rover driving and three-storey drop zones, not for the faint heart. But if you’re looking to test your limits and get out of your comfort zone then this is one place I highly recommend. Sometimes exploring a new place means taking time to enjoy the pubs and restaurants they have to offer. Brewers House is a much-loved village pub that offers great hospitality and a nice place to relax after exploring around Tyrone. The place is very cosy, just sitting by the open fire is a real treat. Brewers House also offers a great menu for visitors to enjoy with a variety of modern and traditional dishes. They also offer an impressive beer, wine and cocktails list that you’ll not want to miss out on. I am definitely a fan of shopping in new places that I visit, I love to find hidden gems and treasures that I might not find in my home country. That’s why I recommend visiting the Line Green Designer Village in Tyrone. It is one of Northern Ireland’s leading shopping villages that has lots to offer. There is a unique range of quality shops and designer brands that you simply wouldn’t find anywhere else. If you enjoy shopping and want to treat yourself to something new then this is must-visit when in Tyrone. What I think people will be quite surprised about when coming to Northern Ireland it how diverse and amazing the local food scene is. The place is filled with great restaurants and cafes. I’m going to share with you some of my favourite places that you need to stop by and enjoy. I can’t recommend this place enough, the Belfast Cookery School was created by people who love great food and want to share their experience with others. If you want to enjoy good food as well as learning to make it yourself then this is a must. Or if you have lost your passion for cooking food and wish to ignite it again then come to the Belfast Cookery School. The chefs you’ll meet here are world class and will provide you with an unforgettable experience. If you are wishing to browse through the best of local and international food then the award-winning St. George’s Market is a must. The market located in Belfast offers a great variety of different food stalls, try some there or buy some fresh produce and go home and cook up a storm. Besides the food, there is also more to be discovered at the market such as the craft and the wonderful atmosphere. It is also, a great place to get to know the locals and find out all about the place you are visiting. Check out our blog around St. Georges Market to find out more about this great place. Located on the beautiful causeway coast in the seaside town of Portrush is the Ramore. The Ramore isn’t just one place but a range of brilliant restaurants that has been renown for its delicious food and drink. There are five restaurants in totally under the Ramore name, The Wine Bar, The Mermaid, Neptune and Prawn, Harbour Bistro and Harbour Bar. Each place offers something different and great fun to try them all out. The Wine Bar may be my personal favourite with is a modern menu and views overlooking the sea. As well as its delicious dessert station that’s not to be missed. This lovely little gem is located in Enniskillen, County Fermanagh. A recently new gastropub that offers the best of pub grub. The restaurant offers a lovely welcoming setting with top-notch food and service. As well as great value for your money, my personal favourite is the delicious burgers that are made with local ingredients and their own special twist. One of the most loved seafood restaurants in Northern Ireland is the Mourne Seafood Bar in Belfast and Dundrum. It’s a place to visit if you want to enjoy fresh local seafood that isn’t too expensive. The seafood restaurant is unique because of the fact they source all their shellfish from their own shellfish beds. I was definitely a converted seafood fan after dinning here. Even if you’re not a fan of seafood I recommend giving this place a try as I did. Last on the list of my favourite restaurants in Northern Ireland is Vanilla in Newcastle. Vanilla offers a relaxing dining experience that’s met with beautiful views of the sea. The food here is incredible with a dedicated team behind it all. Their tapas and wine menu is the best, offering a modern twist on dishes. If you’re looking try new and exciting food then make your way to Vanilla in Newcastle. Northern Ireland is filled with lots of amazing restaurants all with different styles and tastes to suit everyone. These are just a few of the ones I recommend check out but you could spend your whole time travelling around and trying all the different eateries. If you would like to no more about Irish dishes and cuisine the check out the following blog. What is Northern Ireland Famous for? You might not know much about Northern Ireland before you visit so I thought it would be fun to share some of the things we are famous for. Whether that be people, places or things, there are many great attributes that come from Northern Ireland. You may not know this but the brilliant C.S Lewis was born in Belfast in 1898. He is the man that created the amazing and much-loved world of Narnia. Much of his work was inspired by the Northern Irish landscape that he grow up around. We have a whole Northern Ireland travel blog dedicated to C.S Lewis, where you can find out more about him. Don’t forget to also check out the C.S Lewis Square in Belfast and the Narnia Trail in Rostrevor when visiting attractions in Northern Ireland. Don’t forget to check out our blog on Famous Irish Authors who Helped Promote Irish Tourism. Northern Ireland is home to a world-renown University that is Queens University in Belfast. It is one of the top Universities in the United Kingdom. A lot of successful people in Northern Ireland have attended this University from writers to presidents, there is an incredible list of famous faces. When visiting Belfast I definitely recommend checking out Queens and admiring its amazing architecture. We have a whole Northern Ireland travel blog dedicated to Queens University, where you can out more about the place. One great thing that Northern Ireland is famous for is our stunning scenery and landscape that will leave you inspired. From gorgeous landscapes, hills and mountains to historic castles and buildings we pretty much check the box on the scenery front. If there is one reason why a visit to Northern Ireland is worthwhile then this is it. We have many travel blogs dedicated to our amazing scenery that you explore further: Famous Landmarks in Ireland and Top Northern Ireland Attractions: Comprehensive Guide to Northern Ireland. Another thing that Northern Ireland is famous for is being the place where Liam Neeson was born. Neeson grew up in Ballymena, Northern Ireland, who is now one of the biggest and well-known actors. He has been in a long list of Hollywood blockbusters and something that he has always prided himself on is keeping his Northern Irish accent. We have a blog dedicated to the Famous Irish People Who Made History in Their Lifetime if you wish to find out more. I don’t think there’s a person out there who hasn’t heard about the historic Titanic Ship. The Ship was built in Belfast at the Harland and Wolff Shipyards in 1912. Visiting Northern Ireland is an opportunity to learn about this ship with one of the most interesting histories of all time. At Harland and Wolff Cranes, Titanic’s Dock and Pump-House, and Titanic Museum, you will get introduced to the Titanic, the dreadful story that moved us all. We have a few blogs dedicated to the Titanic, where you can read more on the history and stories that surround the ship. Learn more about where the Titanic was built and Stories of Bravery on the RMS Titanic. Northern Ireland has a great track record of creating famous musicians and Van Morrison is definitely one that has put us on the map. He was born and raised in Belfast who went on to become a great singer and songwriter. It is believed that Morrison’s writing and his music were influenced by the places he grew up in and referred to this in the songs he wrote. There was even a Van Morrison Trail created in 2014 that takes people across eight locations that were important in his life and inspiration to his music. We have a whole blog dedicated to Van Morrison, where you can learn more about him and his music. This bar has been renown as the most famous bar in Northern Ireland. It has been hailed as an outstanding example of a Victorian Gin Palace and one of the most recognised pubs. It has an incredible history that dates back to 1885. If there is every a bar you need to stop by and have a drink in, its this place. We have a blog dedicated to other bars you need to visit in Northern Ireland for you to check out. These are just a few of things that Northern Ireland is famous for but there are many great famous attributes of this Country. Maybe that’s something further for you to find out when you visit here. I hope this Northern Ireland travel blog guide with help you to plan an incredible trip to Northern Ireland. This is my personal guide to the best places, attractions, things to do for you to add to your Northern Irish bucket list. What I haven’t covered here you’ll be sure to find somewhere in our site. There’s not much we haven’t covered when it comes to North of Ireland. If you also want to see amazing videos of places around Northern Ireland, make sure to check out our YouTube Channel that’s filled with all that.